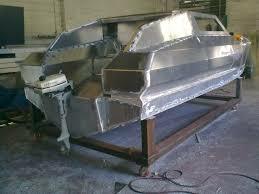 We offer in-house or field (on-site) welding and fabrication services. Welding types include MIG and ARC welding of most ﻿﻿﻿﻿ferrous and non-ferrous metals including carbon steel, tool steel, stainless steel, aluminum and bronze. We work with company owned and operated equipment. From a single part or thousands of pieces using your material or ours, we do it all. 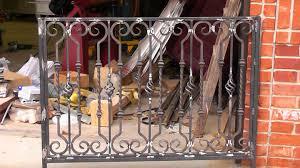 Our wrought iron work is all custom. From the planning of your project to completion each piece we build is specific to your wants and needs. From gates to rails to fences all your own beautiful design with any finish you would like. We also do custom decorative pieces for your home or office. Our custom steel fabrication is beyond what you would expect from a diving company. Our fabricators have over 30 years of experience in the fabrication industry and there is no project we can not handle. If its steel and you need it designed and built we're the company for you. Here at Rivera corps our aluminum work is top notch. We have built everything from simple light poles to complex jobs such as boats and trailers. If your project calls for aluminum then we are the ones you want to build it. If its stainless steel you require yes we do that as well. From simple items to intake screen boxes to full kitchen sets. we pride ourselves in knowing that our customers are 100% satisfied with our performance and reliability.